Tragic as the downfall of CIA Director General David Petraeus might be, it’s just the symptom of a much larger problem: the “spirit of militarism.” The high rates of military divorces, suicides, and PTSD diagnoses seem to suggest that what we have asked our military to do over the last ten years has put severe strain on rank and file soldiers and their families. 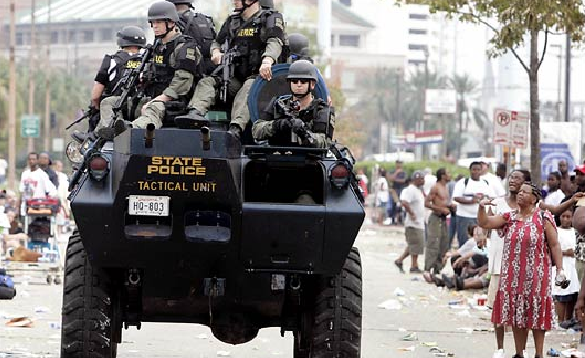 The paramilitary SWAT team of the Louisiana State Police patrols post-Katrina New Orleans. Whether or not the cracking up of the personal lives of soldiers and generals creates a practical national security challenge remains to be seen. But what is not in doubt is the spiritual question that is raised not only when the military solution seems to be perceived as the most effective choice for countries around the world, but when our whole culture becomes militarized — from our police forces to our childrens’ video games to our economy’s enslavement to the military-industrial complex. Jesus managed to cast out the demon that possessed the man (see Mark 5 and Luke 8). But today, the “spirit of militarism” seems all the more entrenched — and poised to not only define, but cripple our culture and our legacy. 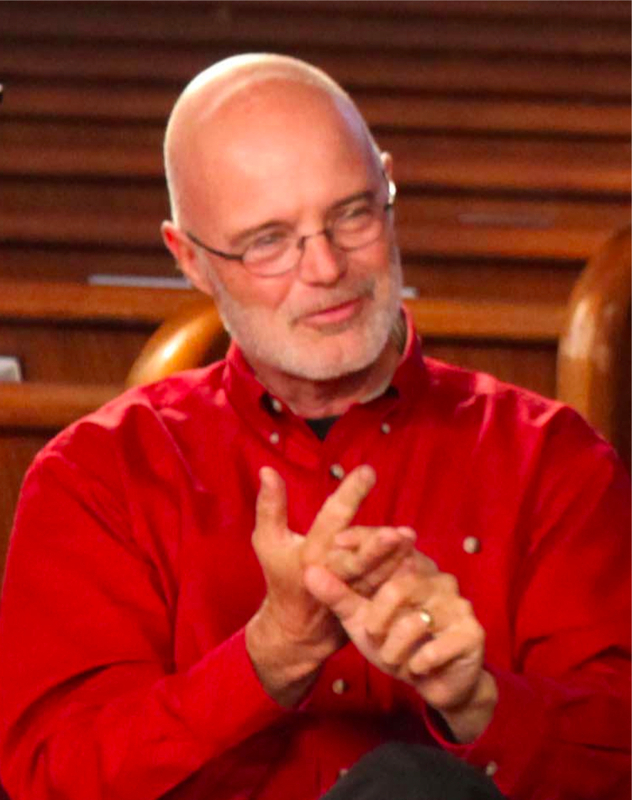 Brian McLaren is a pastor, emergent church leader, activist, and speaker and has been named one of the most influential Christian leaders in America. 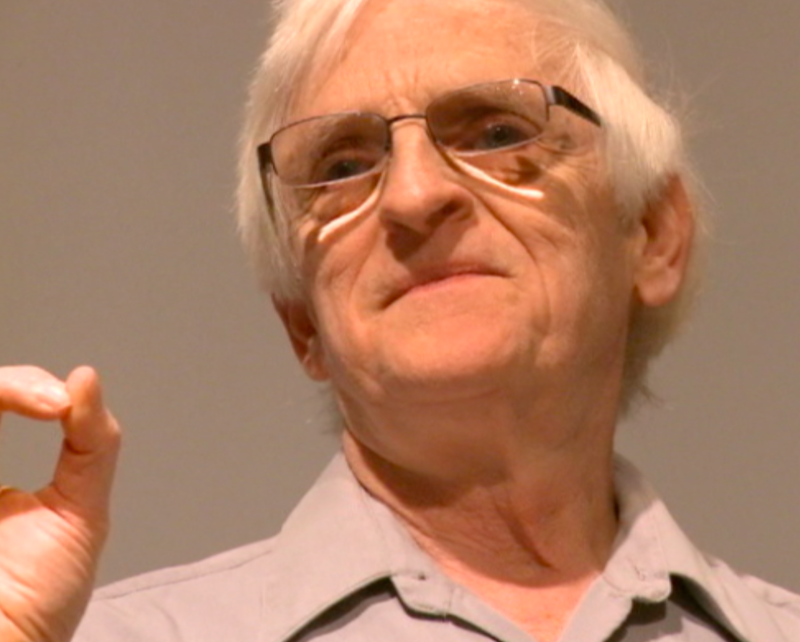 He is the author of numerous books, including Everything Must Change, A New Kind of Christianity, Naked Spirituality, and Why Did Jesus, Moses, the Buddha, and Mohammed Cross the Road? Christian Identity in a Multi-Faith World. 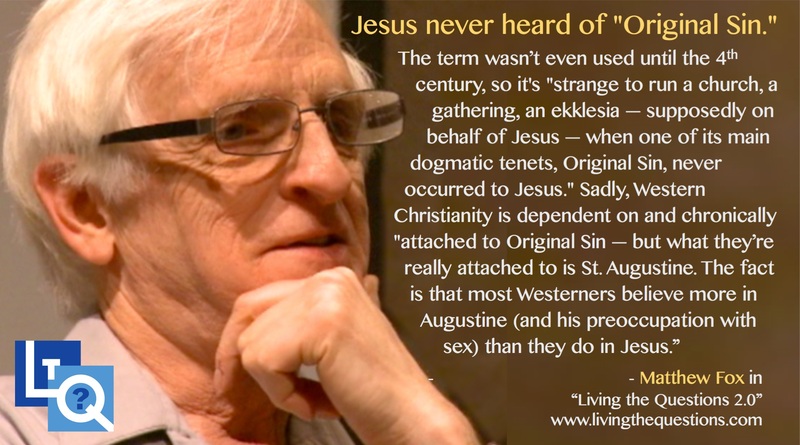 The McLaren quote is an excerpt from the “Living the Questions” program, “Saving Jesus,” just one of many programs designed to spark conversation in questioning the dominant pop theology of Christian orthodoxy.